With the help of our experienced engineers, we have been able to design and develop Compressor Spare Parts. Under this category, we offer our customers a wide array of Piston Rods, Cylinder Liner, Aluminum Pistons, Port Plate, Crosshead, Connecting Rods, Crankshaft & Assembly, Lubricated Bearings and Valve And Valve Components. 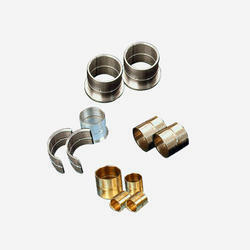 The offered spare parts are manufactured by the experts following international quality standards. We offer these products to the customers at market-leading prices. Innovation is our forte and we strive to design and develop a precision engineered range of Piston Rod. 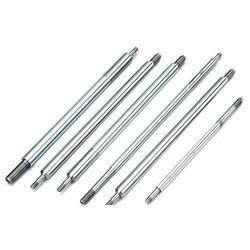 The high-grade material is widely used by the professionals in manufacturing these rods. Before the end delivery, our products undergo various non-destructive tests like magnaflux and ultrasonic to ensure their flawlessness. Moreover, our products have fine threads with a close pitch to ensure better locking and clearance adjustments. Owing to the sound industry experience, we have been successful in catering to the requirements of our esteemed clients by offering quality Aluminum Pistons. High-grade steel, cast iron & the alloy and fully machined aluminum are used by the professionals in designing and developing the offered range. The offered pistons are appreciated in the market for their dimensional stability and fine finish. We have in store for the clients high grade Rings Packing Set. Our professionals manufacture these products with high precision using modern technologies. 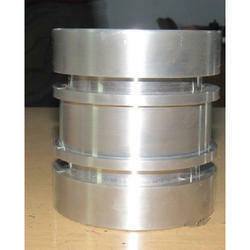 To fulfill the different needs of the clients, we offer these sets in different diameters and thickness. Before the final dispatch, these products are tested on various parameters to ensure their compliance with set industry standards and quality norms. 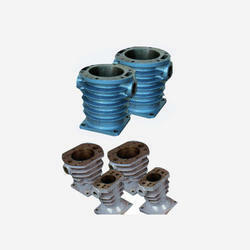 Being a customer-focused organization, we are engaged in offering Compressor Cylinder Liner. The offered cylinder liners are separately manufactured by the experienced professionals using graded casting so that these match OEM quality. Furthermore, our offered products are perfectly drilled with the proper fixture, which ensures proper assembly with related parts. Our professionals ensure that only defect-free range is delivered at the customers’ end within the promised time. Crankshaft Assembly offered comprise overhung crankshaft designs that allow use of solid connecting rod, thus ensuring fully machined forging crankshaft. With the system rotating on two heavy-duty bearings, here the axial is aligned so as to achieve minimized compressor vibration. Further, the overhung crankshaft coming with replaceable crank pin bush is also perfect for machining within permissible tolerances so as to match with main bearing as well as connecting rod bushing. 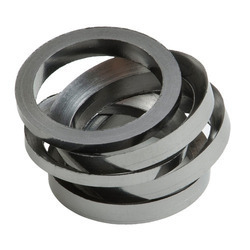 We are renowned firm engaged in manufacturing superior grade Air Compressor Oil Scraper Ring. 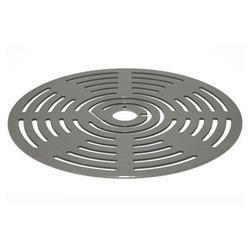 Precision-engineered at our end, these products are available to the clients in different forms that include glass filled teflon, bronze filled teflon, carbon filled teflon, metallic and TFE thermion plastics. Clients can avail these products from us in different sizes, shapes, and specifications as per their requirements. Air Compressor Spare Parts options offered by us are made available in precision designed and quality constructed finish in exact tolerances as demanded by the customers. 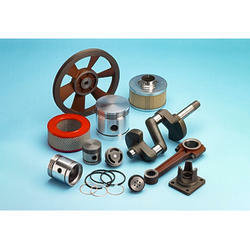 With the offered range made available at competitive prices, the spares include cylinders and pistons, piston rods, port plate, crosshead, connecting rods, crankshaft & assembly, lubricated bearings, rings and spring packing set. Other than this, we also offer Valve and valve components that include metal valve guides, seat plates, channel & valves, valve seats and stop plates. 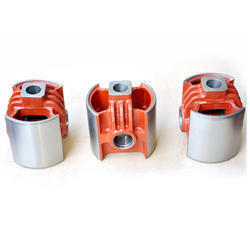 Cross Head offered are designed for making piston rod load and constitute special aluminum alloy material that helps in providing a good bearing surface so as to ensure an extended service life. Further, these are permanently aligned and do not require any type of adjustments. Here, our rich industry experience, as well as knowledge of the product, also allows us to deliver end solutions in customized finish specifications so as to perfectly match up to the demands of the customers. We are highly appreciated in the market for our exquisite collection of Crosshead. 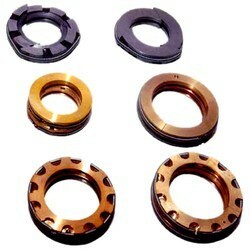 These products are manufactured using optimum grade aluminum alloy to give good bearing surface having extended life. Our permanently aligned range is designed to make piston rod load that requires no adjustment. Moreover, we customize the offered range on the basis of the specifications detailed by clients at industry-leading prices. 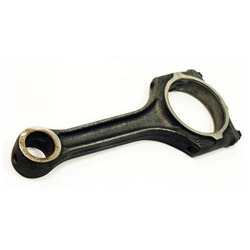 From the day of commencement, we are engaged in catering to the variegated requirements of the customers by bringing forth a comprehensive Connecting Rods. Our offered products are developed using high quality raw material and other components with the aid of our sophisticated technology. Further, these products are tested on various characteristics, under the supervision of our professionals who manufacture these products in compliance with industry set norms and guidelines. Self Lubricated Bearing offered comprises aluminum main bearing bush made available in single piece finish with the axial cut. It comes connected with connecting rod bush comprising two halves constructed using optimum composition with aluminum ingots. For ensuring in these optimum functional values, these are properly heat treated as well as fully machined with perfection so as to perfectly match up to the demands of OEM size. Valve and Valve Components offered by us comprise a wide range in terms of design finish, end application functionality and other related parameters. The available range comprises Channel & Valves (for all reciprocating type compressors), Valve Seats and Stop Plates (ensuring maximum strength wear and impact resistance), Metal valve Guides (quality machined steel guide formed to exacting tolerances), Seat Plates (comprising 316, 410 stainless steel construction), Compressor Crankshaft (in overhung crankshaft designs) and others. Looking for Compressor Spare Parts ?